ARCOD is facilitating the Former Producer Company at Anchetty area with the support of NABARD through ESAF. The FPC (Vetri FPC) is registered under Companies Act. A share capital of Rs. 5,60,000/- from 560 farmers has been mobilized. Vetri FPC availed loan of Rs. 17,28,000/- from NABKISAN for Milk collection centers and repaid almost all the amount. 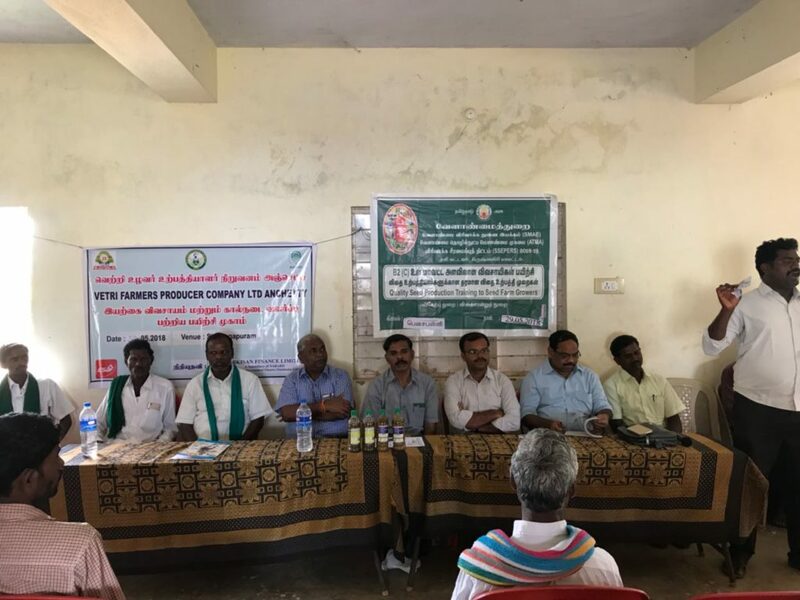 Vetri FPC established a rural mart with the support of NABARD. Vetri FPC is also registered under GST and fssai.